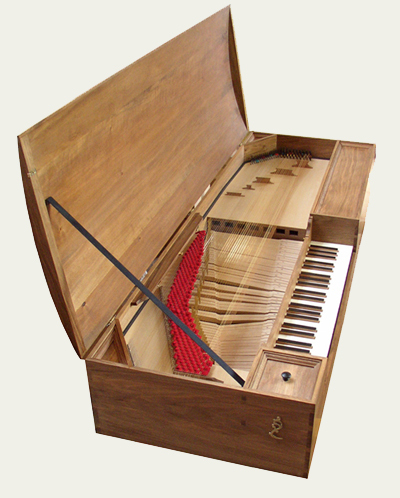 My 2010 reconstruction of the clavichord described by Marin Mersenne is now available for sale or hire. 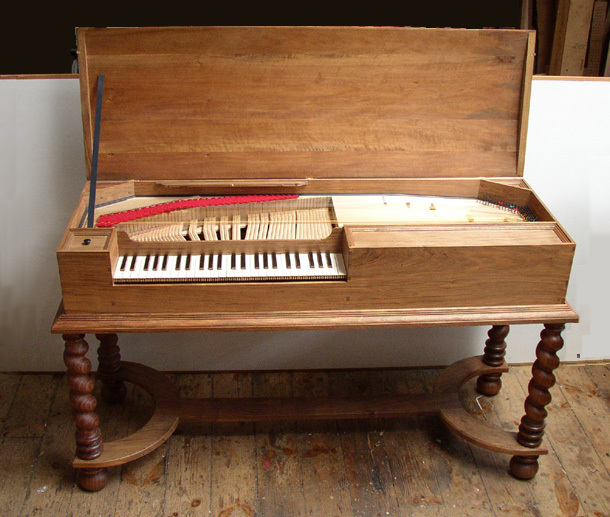 The instrument has been used for performances by Adrian Lenthall and Terence Charlston, and has appeared in a well-received recording (Mersennes Clavichord). It is in excellent condition. Mersennes description of a clavichord (or manichordion), with its accompanying engraving, appears in his great work on music, Harmonie Universelle, published in 1636/7. For an account of how I set about reconstructing the instrument from this source, click here. The instrument is diatonically fretted, with the notes A and E fret-free in each octave. The compass is C–c³, with the option to tune C# down to AA. The pitch is a¹=392 Hz. The case is in walnut; the natural keys are covered with bone and the accidentals with ebony. NB. : there is no ivory in this instrument. Price: £8,000 ex workshop, to include stand, cover, and accessories. For hire terms, or any other information, please e-mail me.